5S comes from 5 Japanese words and each of them starts with S. These are seiri, seiton, seiso, seiketsu, and shitsuke, if we translate these 5 Japanese words into English then we get Sort, Set in Order, Shine, Standardize, and Sustain. 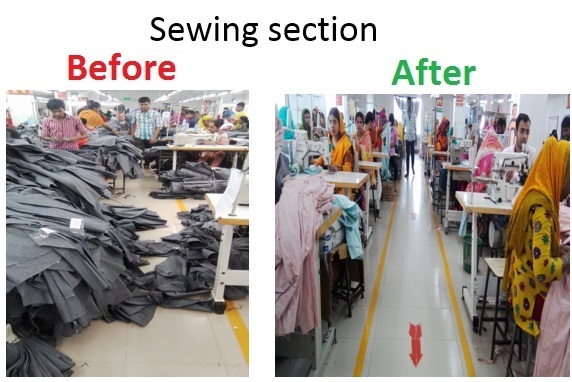 In garment industry 5S works as a basic tool of Lean Manufacturing, a technique to set well organized, clean and visual attractive workplace. That’s why the implementation of 5S in Apparel Industry is required. 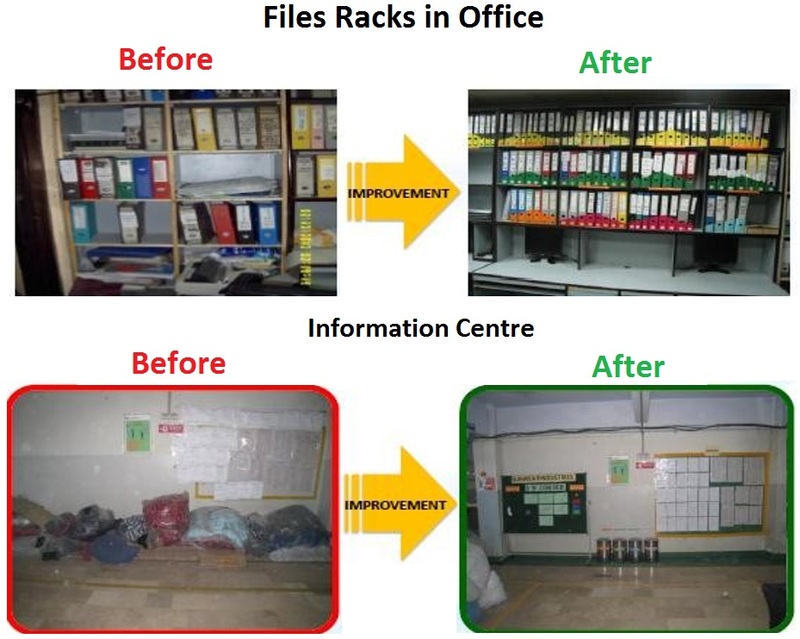 Implementing 5’S method is a base to implement quality improvement/lean procedures. Expecting the team to be and they do activities in each department: like monitoring, evaluate and drive the aspects very clean and organized so that, your Factory will look very planned and well Set-up. 5S start with sort. Sort means to sort out unnecessary items, use all machine, tools, equipment for regular use. Define daily needed items, weekly needed items, and monthly needed items and keeping separate. Store is broken, unusable or occasionally used items also should be defined. Keep records for eliminating unnecessary items exist and new in items. Each and every section of garments you may find many things are kept in a haphazard way. So for these, you need to follow first S from the 5S, i.e Sort. Sorting according to items characteristics and importance. Setting order is important for 5S. All items, section, and area (In, exist) are clearly identified by a label and everything should be well organized. Never mix/store two category items in one place. Dividing lines, aisle mark, Stairway is clearly identified and clean as per standard. Confirm that the exits are accessible and unlocked during working hours. Confirm that, where necessary, the emergency exit doors have no panic hardware or lever style (one hand, one motion door openers). If you keep all of your store materials in your garments warehouse in a planned order basis, then whenever required that materials you can easily find out and get those materials. That’s why all materials should be kept in accordance with set in order. The third S from 5S is Shine, actually mean cleanliness. All items/place of workplace Floors, walls, stairs, ceilings, pipework Racks, cabinets, shelves, Machines, equipment, tools, Stored items, materials, products and lighting everything required to be kept clean. All cleaning tools and materials are easily accessible. Cleaning assignments are defined and are being followed by checklist and hang checklist on visible board. Do periodical pest control to make sure there is no insect. 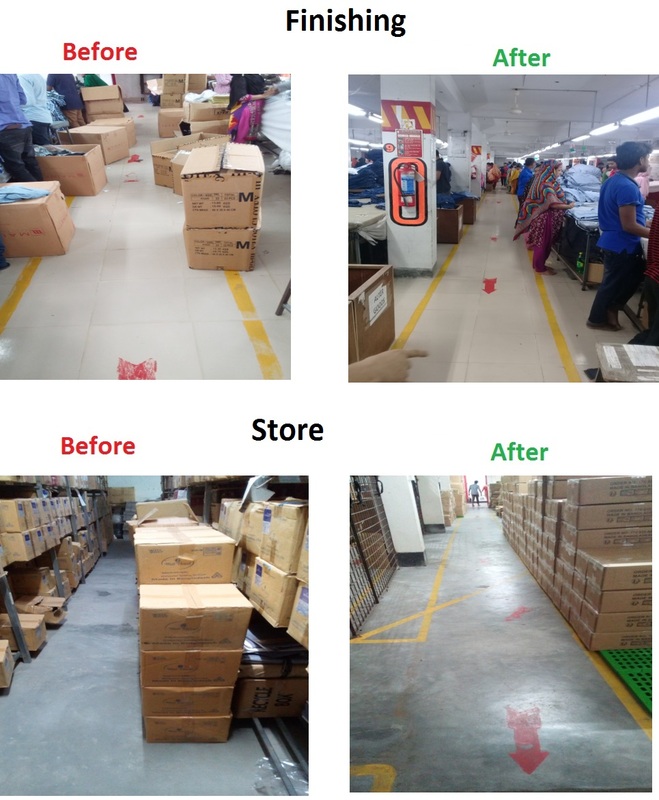 Cleanliness is not only the compliance issue but also this increase the healthy working environment in garments factory or office. First three steps of 5S are the key to implement 5S in the workplace. This section is about visualization by Information displays, related SOPs, signs, color coding and other markings are established everywhere of the factory also included procedures for maintaining the first three S’s are being displayed. Do regular 5’s audit using a checklist, give & post rating to each area. Need formal training, keep training records to approach towards improvement. These standardizations increase the operating efficiency of the apparel industry. This section is to sustain 5S in the textile and garments factory to be the way of life rather than just a routine. Success stories are being displayed (i.e. before and after pictures) in every section of the 5S board. Give rewards and recognition is part of the 5S system to sustain 5S. Now, 5S have two additional points 6th “S” for “Safety” and the 7th “S’’ is “Security”. These two new points objective is to make safe workplace for all employees. It is employer’s responsibility to provide safety and security for both factory and office place in apparel industry. Conduct section wise 5S audit and submit a report. Evaluate score and take corrective action for improvement in every department. Check that the first three S’s are implemented properly. All team activity documents/checklists should be publicly displayed on a 5S board. Establish the routines and standard practices for regularly and systematically repeating the first three S’s. Standardize red tag procedures and holding area rules (see Seiri). Create a maintenance system for housekeeping. Make a schedule for cleaning of the workplace. A common approach is to ask a cross-functional team to do it. Inter-departmental competition is an effective means of sustaining and enhancing interest in 5S. Assign responsibility to individuals for a work area and machinery. Regular inspection/audit and evaluation by a special team (including senior management persons) to be continued. Instead of criticizing poor cases, praise and commend good practices or good performers. Take “after” photographs and post them on the 5S board(s). Give a reward for the top scoring section. You can download Presentation File on 5S if you need. 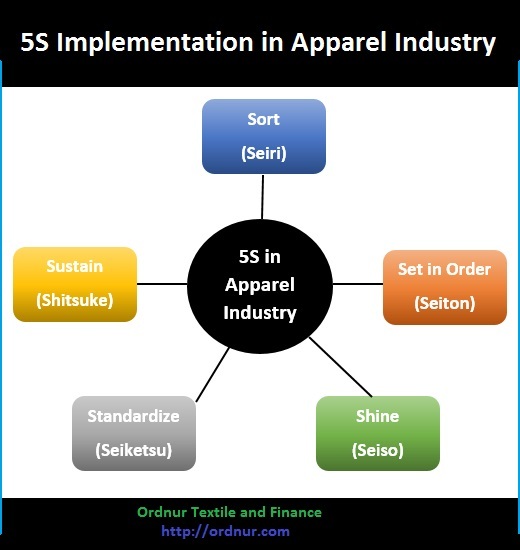 Tagged 5S Implementation in apparel industry, 5s implementation in garment industry, 5S in apparel industry, 5S in Apparel Manufacturing Industry, 5s in garment industry, 5S Presentation (English & Bangla), 5S Presentation: PowerPoint, 5s system in garment industry, 5S Training ppt, Advantages of 5S for Garments, Basic concept for 5S Implementation in Apparel, Implementation of 5S in Apparel Industry, S1. Sort (Seiri), S2 - Set in Order – SEITON, S3 - Shining – SEISO, S4 - Standardize – SEIKETSU, S5 – Sustain - SHITSUKE, S6 and S7(Extension of 5S). MaasyaAllah, thank you very much Pak Washim for sharing this knowledge. It helps me a lot.